The NW/Alphabet District is one of the most popular places in Portland to live, but it's been able to maintain its local flavor and character even with all the new residents. NW 23rd has a lot of high-end shops and restaurants that pull people from all over the city, and then two blocks over you'll find NW 21st with a much more local neighborhood feel. The Streetcar comes through here and there are plenty of useful stores like a Trader Joe's so you don't have to go far to find everything you need. There's only one modern high-rise here, The Westerly, (there are more in nearby Goose Hollow) but there are plenty of other condo options, especially if you like historical buildings with lots of character. A couple of the more modern mid-rises are the Vaux and the Cambridge. 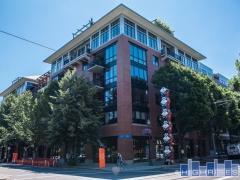 Contact us anytime at 503-567-7979 for more info about Alphabet District condo living.